Over the past few weeks, the technology sector of stocks has come roaring back in favor as underperforming fund managers are looking for growth opportunities. One important technology stock in my eye is cloud computing company VMware, Inc. (NYSE:VMW). VMW stock lagged the broader tech sector in May, but over the past few trading sessions looks to be waking up, allowing active investors and traders to give this name a stab from the long side. Before looking at the charts it is important to note two things; 1. Not all technology stocks are created equal…as much as that would make the analysis easier. The technology sector of stocks is widely diversified, with many nooks and crannies. And 2. The tech sector being largely associated with “growth companies” does allow for many momentum trades. In other words, things such as breakout moves on the charts can quickly attract more buyers willing to “chase” the stock higher. This latter point may indeed be the case in VMW stock. On the multiyear weekly chart, we see that after finding much technical resistance in the $115-$120 area, VMW stock in 2017 finally found the per-severity to push past this area for a major breakout run. As the broader U.S. stock market however became severely overbought in the second half of January 2018, so too did VMW stock. Like I so often point out, however, charts that rally too steeply ultimately stand an above average chance of undergoing a sharp corrective move. This sharp drop for VMW stock took place in late January/early February and from peak to trough measured roughly 34%. This move, however violent, also re-tested the former area of technical resistance (blue box on the chart), which then became technical support from which a rally since has been born. In other words and through this lens, the corrective move in VMW stock in the first quarter of 2018 looks to have been healthy to allow for a next leg higher. On the daily chart, we see that particularly the rally in April and May has since pushed VMW stock back toward the late-January highs as measured on a daily closing basis. On June 1, VMW stock rallied on a breakaway gap following its latest quarterly results. This also pushed the stock above its May highs and thus past simple diagonal technical resistance. After one day of resting on June 4th the stock once again rallied on June 5th in a sign that continuation higher may soon be in the cards. Active investors and trades could look to buy the stock in the high $140’s with a first upside profit target at $160. Any strong bearish reversal on a daily closing basis, particularly a hold and close below $140 would be a stop loss signal. Remember, one can always re-enter a trade but it is important to stick to predefined risk management parameters. 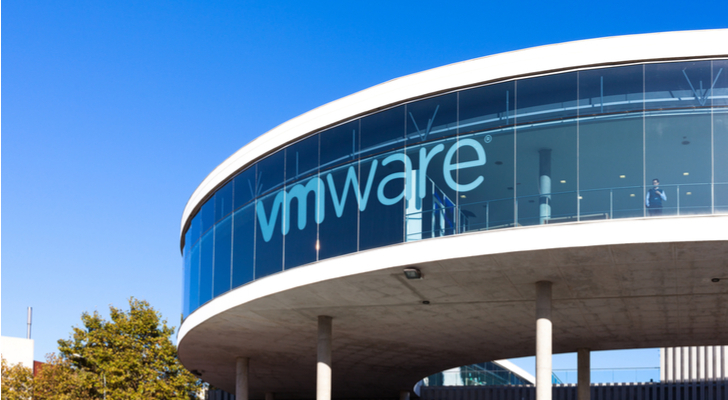 Article printed from InvestorPlace Media, https://investorplace.com/2018/06/trade-of-the-day-vmware-inc-stock-is-a-breakout-candidate/.